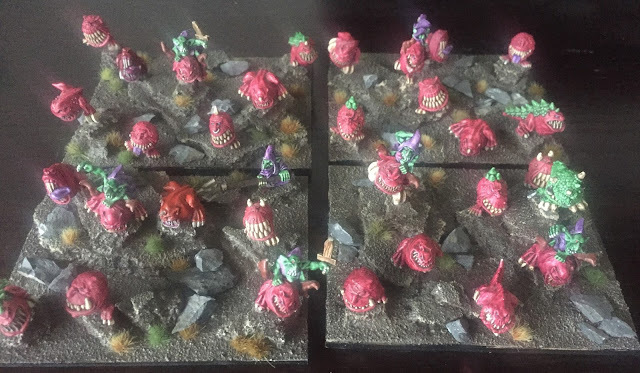 The Goblins were an army my son Jack had painted in just over a week using a white undercoat and GW inks/washes. The rest of the army has sat unbased over the past eight months but with a few wet days here in Wellington I thought I would finish it. 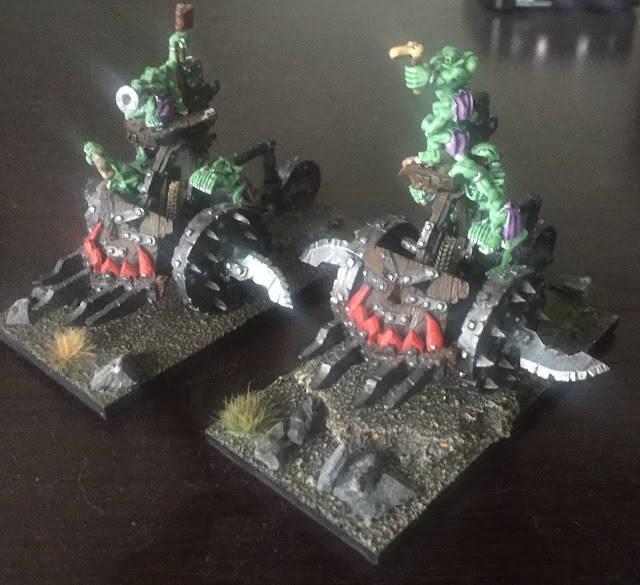 The army also includes two Hordes of Trolls painted by local Sam. I also picked up a FW Colossal Squig cheap which I intend to use as a second Giant. It has been base coated but needs detailing. Next to be based are my Orcs. The MDF bases have been dispatched from Sarissa so some time next week they should arrive. 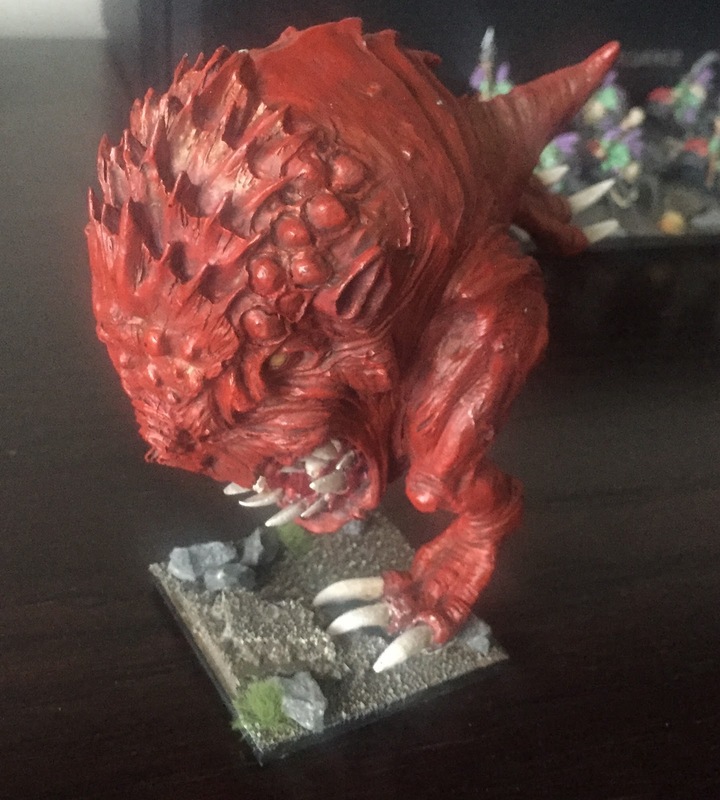 At that point I'll have The Herd, Ratkin, Goblins and Orcs all multibased for Kings of War. Great stuff. I just picked up some of those spider rider models for my goblin army. I also really like your giants. Glad to see these guys get some new life! Cool use of fanatics for trombones - I've been wondering what to do with mine. 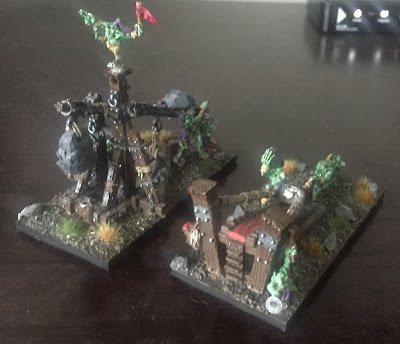 I love old GW orcs and goblins, so characterful - including many of my favourite models. 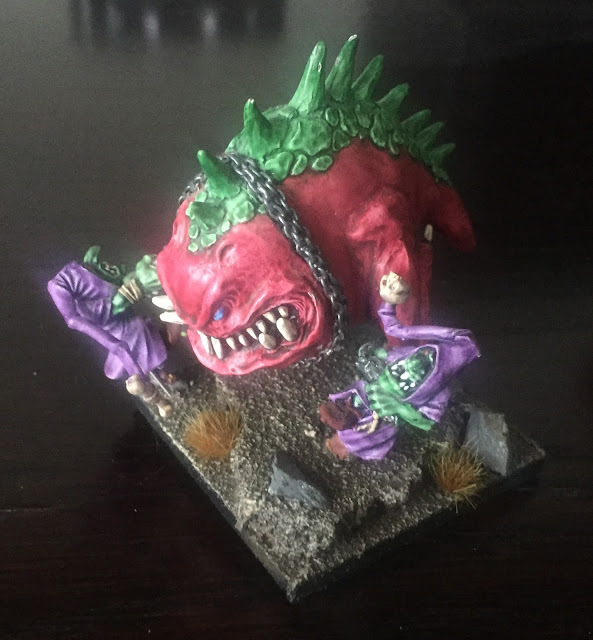 I recently got my hands on one of the old marauder giants which has such fond memories attached to it (along with Azhag and Grom). Such a fun army. Enjoy!